Our flight leaves at 12:55 PM. We spent yesterday once again walking through Old San Juan. 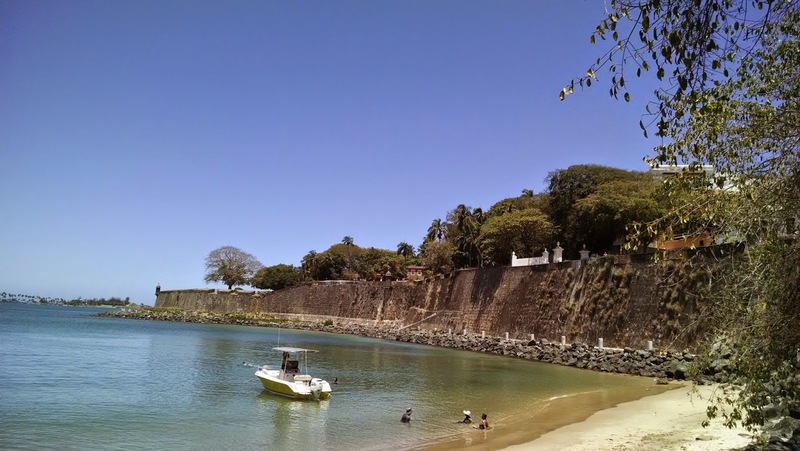 We walked along Paseo del Morro trail, which follows the masonry walls protecting San Juan, to the San Juan gate, which was the entrance used by Spanish dignitaries when they arrived at the island hundreds of years ago. There were many statues along the water. I took a liking to this one of Felisa Rincon de Gautier. 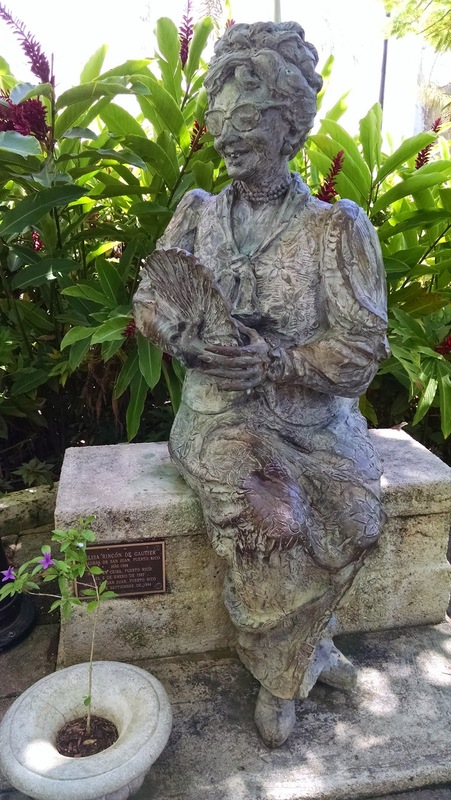 After I Google search I learned she was the first woman to be mayor of San Juan. The statue was surrounded by beautiful gardens. Afterwards, we ate at Raices. It's in the tourist area of Old San Juan, but the food was authentic. 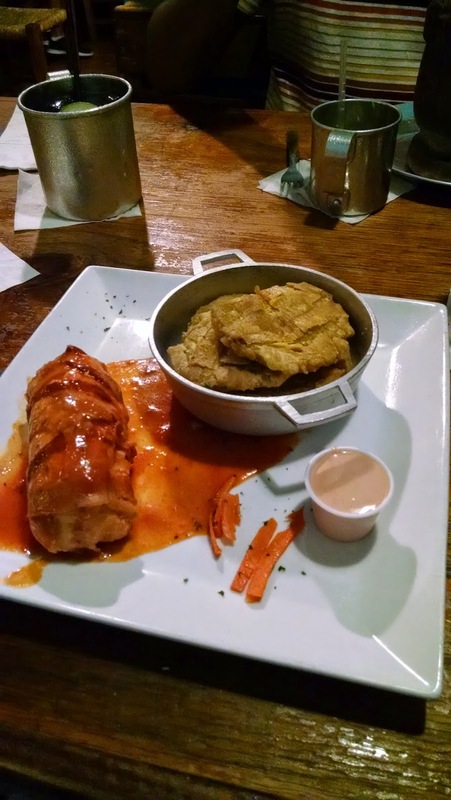 My partner had a beef mofongo; I had a chicken stuffed with cassava and a side of tostones, which are fried green plantains. In search of a public restroom later, we dipped into the casino at the Sheraton, where I quickly lost the money I had won earlier in the week at the Wyndham. We checked into the nicest Hampton Inn I have visited. The hotel featured a sizable pool with swim-up bar. We were upgraded to a large suite with two separate rooms (similar to an Embassy Suites). What I liked was the complimentary Happy Hour and Crepes Bar. Free massages were offered poolside, but we passed on that. The hotel was a shop so the $243 will be completely reimbursed and I will earn HIlton Honors points, too. We've spent five nights in Puerto Rico, but I only had to pay for one. We splurged more than normal on food (under $200), which I justified since most everything else is going to be reimbursed.